Take aim at allergy triggers in your home with room-specific cleaning routines. If you have seasonal allergies, you don't need me to tell you spring has arrived. Four of the most common allergy and asthma triggers are lurking right under your nose: animal dander, dust and dust mites, mold and mildew. And that seasonal debutante, pollen. 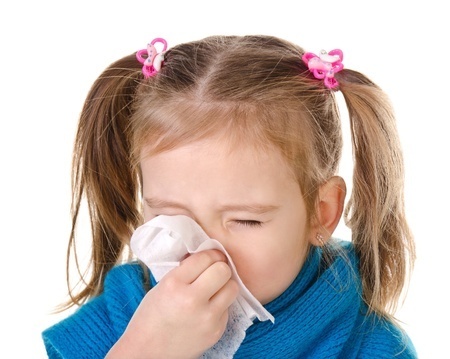 Here's the dirt on cleaning to control allergy symptoms and preventing (when possible) asthma and allergy triggers in your home so you and your family can breathe easier. For those with an asthmatic in the home: Choose scent-free cleaning products . Clean in spurts to minimize exposure to airborne allergens and asthma triggers in cleaning products. If you're the asthmatic, have someone else clean when possible; if it's a family member, try to clean when he or she will be out of the home for several hours. Finally, be sure to open the windows or turn on the fan while cleaning to minimize exposure to cleaning products. Remove carpeting if asthma or dust allergies are severe. Dust frequently with a damp cloth. Vacuum frequently using a HEPA filtered vacuum cleaner. Launder curtains regularly; better yet, replace curtains with shades. Avoid blinds - they're dust magnets. Get rid of clutter and dust collectors, such as magazines, knickknacks and stuffed animals, or store them in closed boxes or cloth bags. Launder sheets and pillows weekly in warm water; tumble dry. Blankets, comforters and mattress pads should be washed monthly. Vacuum both sides of the mattress for at least two minutes twice monthly to reduce the dust and allergens in the mattress. Keep furry or feathered pets out. If one takes a catnap on the bed, wash the bedding as soon as possible. Mold and mildew are your biggest challenges here. Clean the refrigerator interior weekly to remove moisture from the interior. 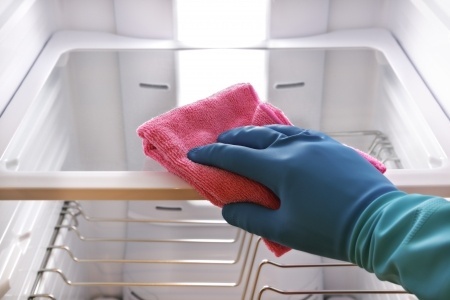 Keep under-sink cabinets and countertops clean and dry. Clean regularly using a disinfectant (antibacterial) cleaner formulated to kill mildew. Moisture inside the fridge makes it a prime breeding ground for mold. Clean the wall and shelves regularly using a non-abrasive, all-purpose cleaner or solution of baking soda and water. Wipe up water that accumulates in the crisper drawers, and clan them regularly. The warm, wet environs are prime growing grounds for mold and mildew. To help prevent this growth, repair any leaks, use the exhaust fan after bathing, keep air circulating and keep the surfaces clean and dry. Wash fabric shower curtains with detergent and liquid bleach (the color-safe variety). Presoak heavily mildewed areas in 1/4 cup bleach and 1 gallon water. Vinyl shower curtains should be scrubbed with liquid bleach or a mildew remover before washing. Don't put them in the dryer. After showering, sponge or squeegee dry the shower walls. Keep the shower door or curtain open after use. Clean shower stalls and bathtubs using a non-abrasive all-purpose or disinfectant cleaner. Mold and mildew patrol requires a mildew remover. Use in a well-ventilated area; most shouldn't be used by an asthma sufferer. Disinfectant cleaners used two to three times a week will prevent mildew from getting a toehold in the future. Here you'll often find a potpourri of dust and dust mites, animals dander, pollen and mold and mildew. Vacuum weekly with an allergen-control vacuum - more often if you have a pet and during heavy allergy seasons. Go against the carpet's nap, taking a minimum of six to eight strokes over each area. Empty or replace the bag when it is half full. (Full bags result in less suction power, meaning a less-efficient vacuuming session. Area rugs should be used in front of all entryways to trap and hold dust and dirt and keep outdoor allergens away from living areas. Regularly shake them outdoors and away from open windows and your face. Launder them weekly. Launder curtains frequently to remove dust and dust mites. Clean window frames and sills regularly, looking out for condensation, mold and mildew. Regularly wash soft, machine-washable toys. Mold, mildew, dust and dust mites reside here happily, thanks to the usually warm, dark and moist atmosphere. Store items in plastic boxes or closed cloth bags. If mold and mildew are a recurring problem, use a dehumidifier to keep the relative humidity between 35 percent and 50 percent. If plants that you are allergic to are around your home, close nearby windows during pollen season.